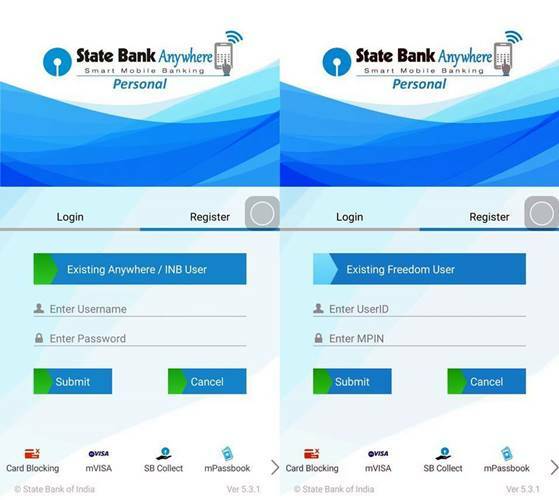 State Bank Anywhere APP (SBI Anywhere) is State Bank of India’s retail internet banking based application for your smartphones (SBI Bank Mobile App ). 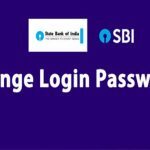 In this guide you will find SBI Anywhere Registration, Login process. SBI Anywhere helps SBI Online Banking Customers to handle the financial transactions from their Mobile Phones. 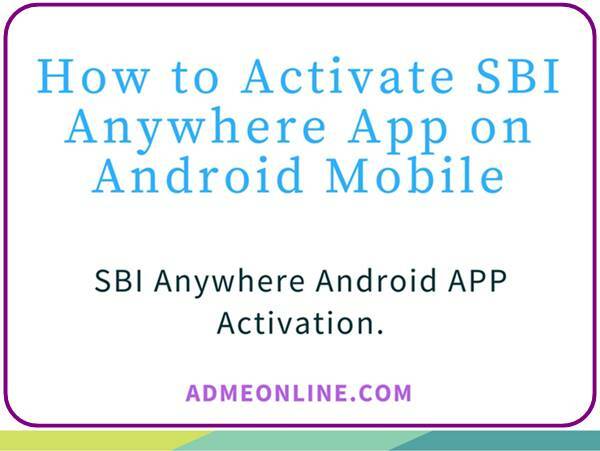 SBI Anywhere App is available at Google Play store, Apple App store and Blackberry App World for Android, Apple and Blackberry smartphones. Please Support us by Subscribing Our YouTube Channel (Click Here), Like and Share the Video. 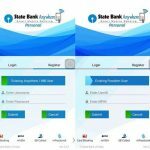 How to register for State Bank (SBI) Anywhere App? 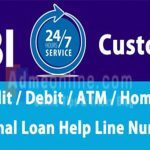 All SBI Internet Banking (OnlineSBI.com) Customers can avail this service with the same OnlineSBI (SBI Internet Banking) User Name and Password. New users can register for the Internet Banking (Onlinesbi) account through the registration form in the App. SBI Anywhere Registration is simple. 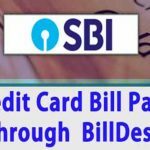 This app supports all State Bank of India Retail Internet Banking customers. 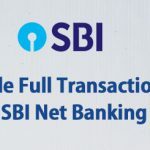 They can use their SBI Internet Banking User Name and Password for the SBI Anywhere Login. Step 1 : Download State Bank Anywhere Android App from Google Play Store and Open it. 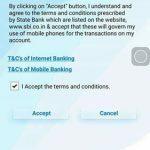 For added Security, The user needs to complete a One time Activation process to use the State Bank Anywhere App in a device. Step 3 : Login with your Existing Online SBI (Internet Banking) / Mobile Banking Account. Click on ‘Existing Anywhere / INB User‘ if you already have the SBI Internet Banking (OnlineSBI) Account. 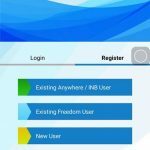 No need to Register again in the SBI Anywhere App. Login with your OnlineSBI User Name and Password, if you have an Online SBI (Internet Banking) Account. 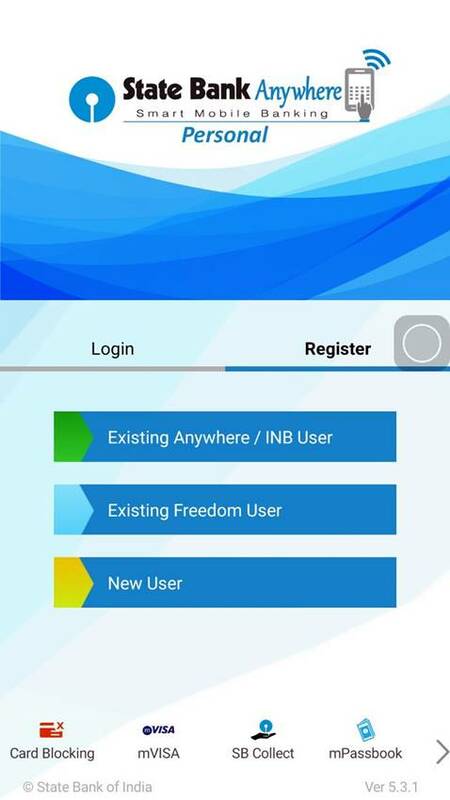 Click on ‘Existing Freedom User‘ if you already have a Mobile Banking Account. Use your Mobile Banking User ID and MPIN, if you have a State bank Mobile Banking Account. Step 4 : Now you can see a Screen with State Bank Anywhere Terms and Conditions. Click on ‘Accept’ to proceed with the Activation process. Step 5 : Now you will get an Activation Code in your SBI registered Mobile Number to authenticate the device. Note: Your Mobile Number must be registered with SBI to activate the SBI Anywhere Mobile App. If you have not yet registered your Mobile Number with SBI, then You can register/ Change it online using your Internet Banking Account. 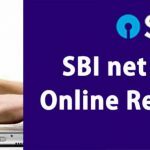 Learn How to Register or Change SBI registered Mobile Number Online. ie; You can use the State Bank Anywhere APP in any other Mobile or device. 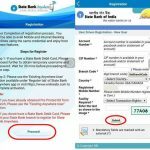 It is not mandatory to use it in the same device with the SBI registered Mobile Number. Enter the Activation Code received in your registered Mobile Number to complete the Activation process and click on the ‘Submit‘. 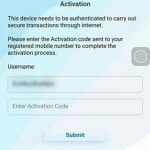 If you have not received the Activation Code, you can repeat the same process again. 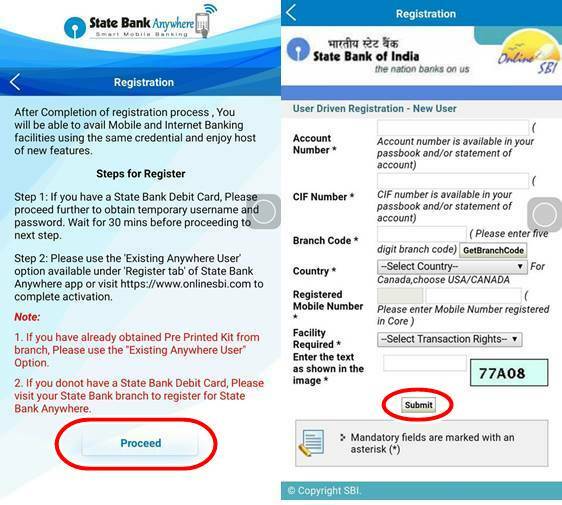 If you lost your Mobile Number or you want to Change the SBI registerd Mobile Number, you can do it online easily . 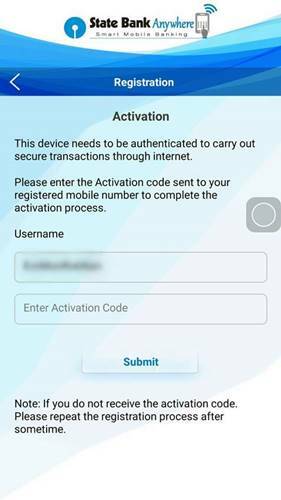 Step 6 : Upon successful Activation of the SBI Anywhere Mobile App, a message will be displayed ‘User activation successful‘. Click the ‘Ok’ button to go to the Login Page. 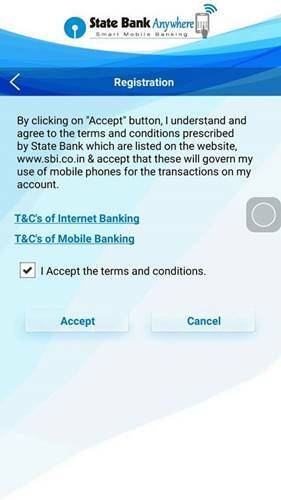 If you want to use the State Bank Anywhere App in another Mobile, you need to complete the above activation procedure again. Step 1: Click on ‘New User‘, if you don’t have an OnlineSBI (Internet Banking) and Mobile Banking account and have a State Bank Debit Card. You will get a temporary Username and Password. Step 3 : Fill the ‘User Driven Registration’ form and Click on Submit. Please note that you need your SBI Account Number, CIF Number, SBI registered Mobile Number etc to complete the registration process. 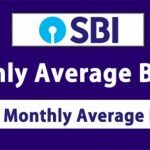 Like Onlinesbi, State Bank Anywhere APP is free of any charges. Updated version of State Bank Anywhere Application is more secure and you can do almost all operations in the Online SBI Account. 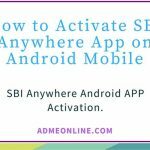 If you have any Questions / Need help in Activating the SBI Anywhere Android App, Post your Comments below. Also share this useful information with your Friends. For more updates, Follow us on Social Media. During registration process on entering username and password , massage came UNABLE TO FETCH COUNTRY CODE AND USER NAME.PLEASE TRY LATTER. what should do to complete registration. I am sbi freedom user, i tried registering from the existing freedom user, after entering the id and mpin, it shows you have internet banking account, preeceed… But the problem is its been a lomg time i visit my online banking and dont even remember my username and password. Please tell me what to do without having to visit the bank..
after registration i got username and ppk no. and online rgistration form ,i had submitted the form in the branch. 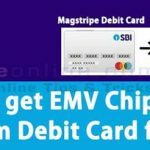 Using sbi anywhere app for new user i have a debit card.. So Card pin submission manidatory for use this app? I completed new user section and submit then it is showing invalid country code . my registered number is Indian number +91 and used the same .but presently I am at Qatar. my account is provide only view right..how to use my acc is for transaction..?? Thax for the valuable info i did everything asked for new user & completed the process successfully but in the end after creating password it said that you ll receive a temporary id,so i am kind a confused here to which id should i enter while logging with the password i created.